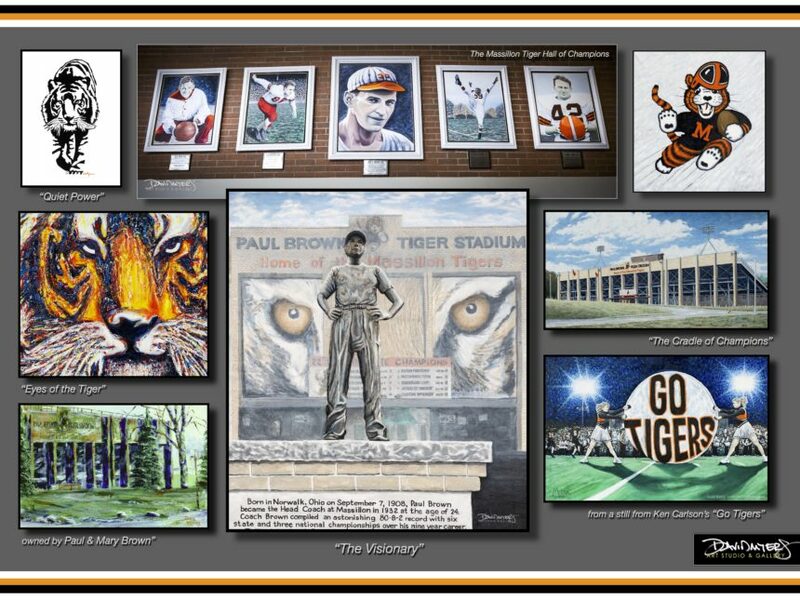 A great Massillon Tiger, Steve Studer inspired and greatly impacted many people. A legend in his hometown of Massillon, “Stu” graduated from Washington High School 1972 where he played for center for Coach Bob Commings on the great 1970 State Championship team. At Bowling Green he was an All-MAC center, played for Don Nehlen and graduated in 1976. 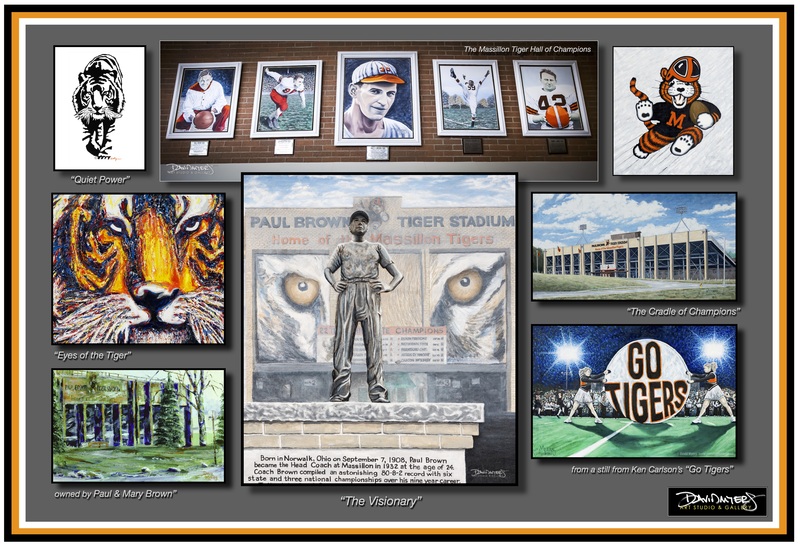 Stu was art major at BGSU and joined his father Junie Studer at Studer Signs and The Tiger Store as an extraordinary graphic artist and sign painter. He weight trained many notable college and professional athletes in his “Torture Chamber”. 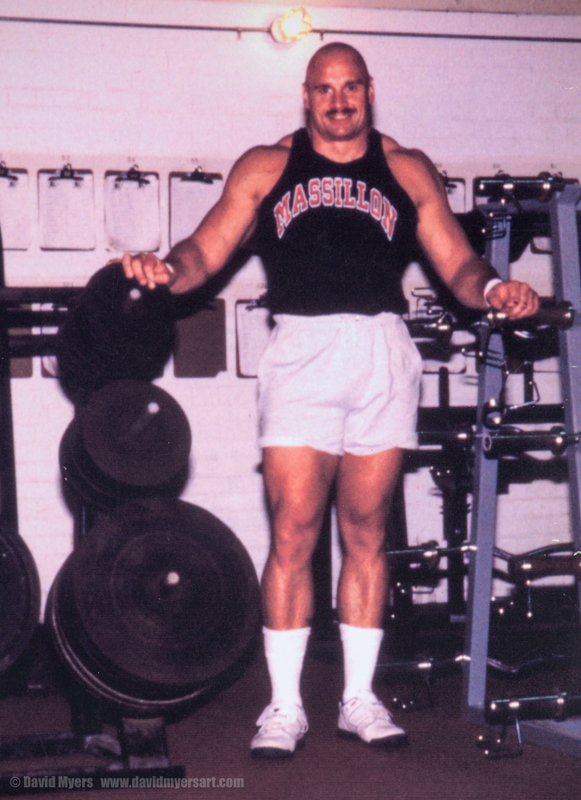 He was a competitive weightlifter and won many competitions including The Buckeye Championship, The Ohio Classic, and also was the American drug-free recordholder for the bench press. Steve went on to coach at Massillon and designed and directed the Tiger Weight Training Facility as Strength and Conditioning Coach. For many years Stu challenged, inspired and mentored many young athletes. He understood the great Massillon traditions. Stu had passion. 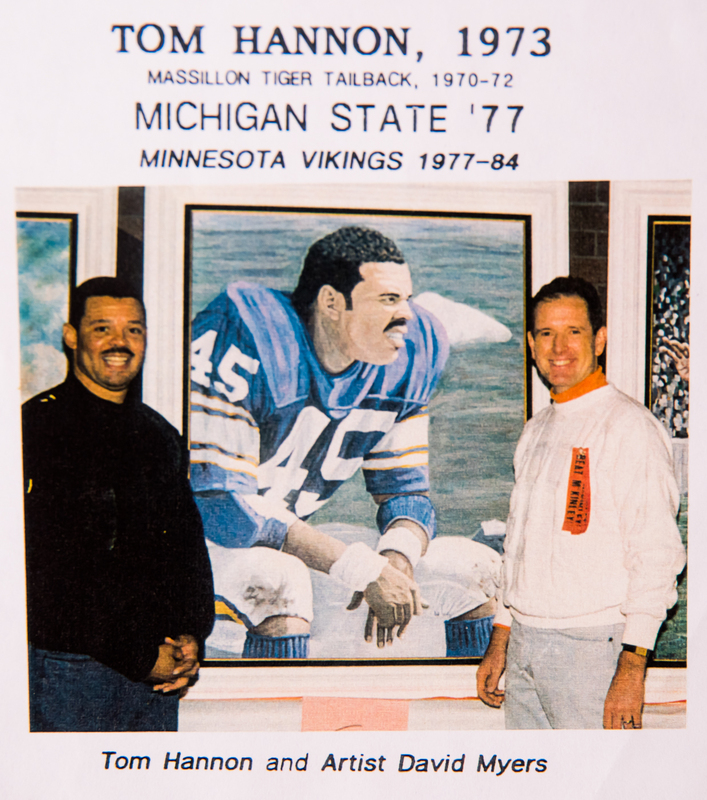 When he was inducted into The Massillon Tiger Hall of Champions in 1996 he requested his painting be created with “Massillon across his chest” so a photograph was set up with Stu in a current Tiger uniform to match the composition of a photograph of him in college on the bench during a Bowling Green game. 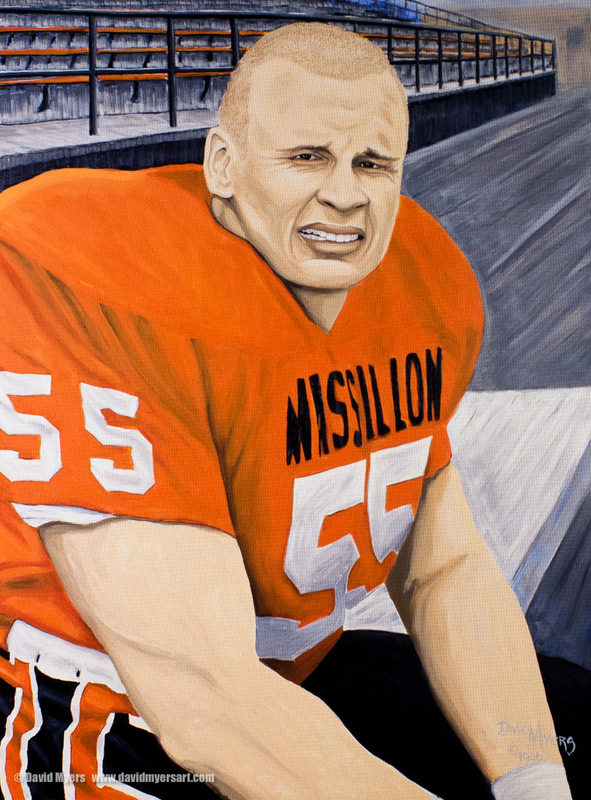 His 20 year old face in the BG shot combined with the “Massillon” shot was reference material for Stu’s Hall of Champions portrait. 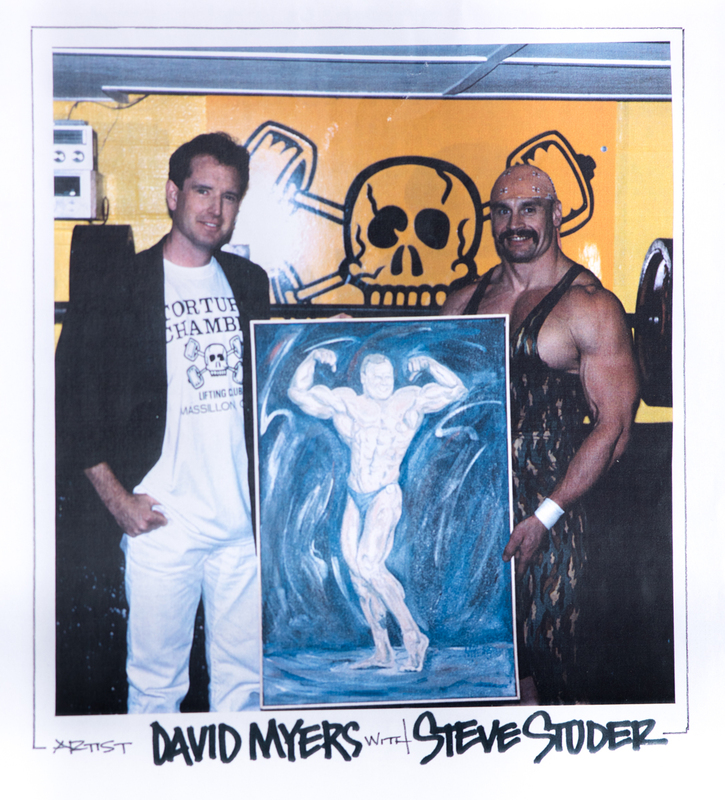 While Steve Studer left us in February of 2004 at the young age of 51, his legacy lives on. 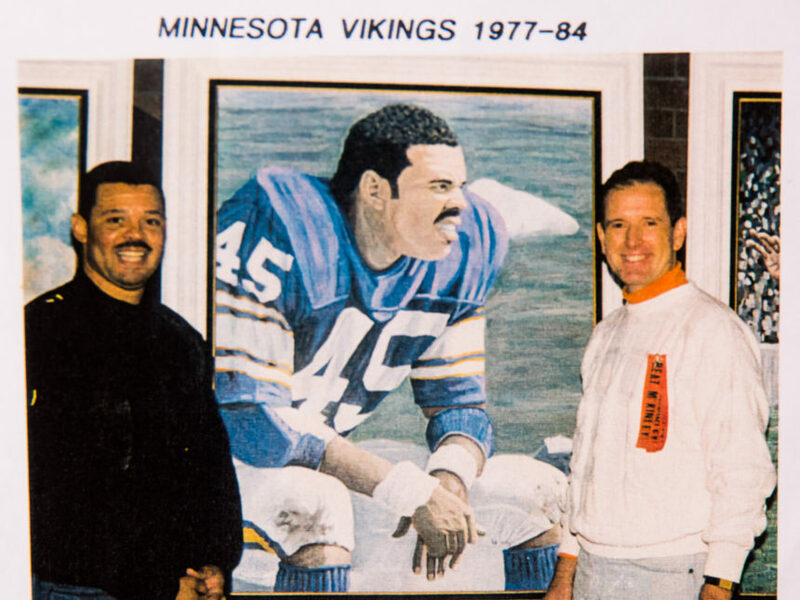 He was a great friend, creative collaborator and a consultant in the origin of The Hall of Champions in 1991. In addition to the many people Steve inspired and mentored, the great Studer family carries on his legacy by teaching, coaching and empowering others while strengthening their communities. Stu would be proud. Win or Lose, Massillon Always.